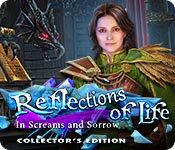 Reflections of Life: In Screams and Sorrow Collector's Edition: Big Fish Editor's Choice! This title was selected for its exceptional quality and overwhelmingly positive reviews from our Game Club beta testers. From Grandma Studios, the makers behind Whispered Secrets, comes a fantastic new tale in the Reflections of Life series! The world as we know it changed the day a magic portal opened and we welcomed the strange people who came through it. For a while, life was improving, until a strange disease began spreading from these new visitors. As a talented student of pharmacology, you’re called in to help stop this, before it becomes a plague! Join up with one of your oldest friends to develop the cure. All the while, a dark shadow hangs over you. Someone wants to make sure you never find a cure! Who’s truly behind this mysterious illness? 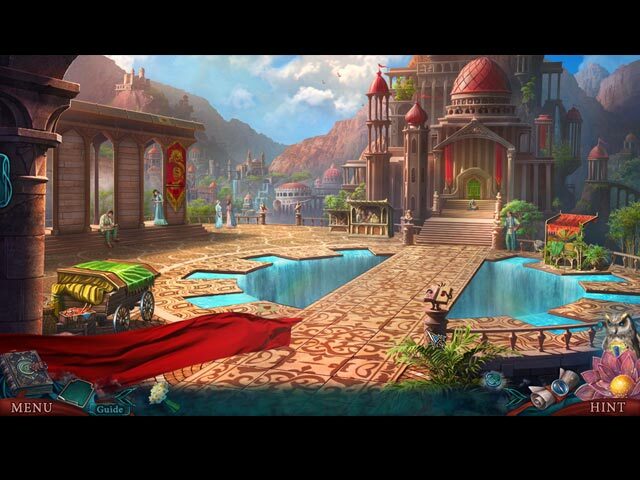 Find out in this intriguing hidden-object puzzle adventure game! See what our Beta testers had to say: “I especially liked the overall feel of the game. The colors were vibrant and bright and game play was fast. This theme is a familiar one, but still kept my interest. The game did not feel dark or scary, more like a love story. Controls were easy to understand, the game had a jump map and an owl helper. I also liked the ability to switch to a match 3 instead of doing a HO. The entire game was interactive. Mini games were not to easy, but not to hard either.” - Zoe, beta tester “I love this game! It is bright for a hidden object so I can see everything. I love the beginning with the shadows for the hidden objects. You don't see that too often. I love finding the owl and having him help and now I have to wait and see what happens to Nova. Terrific game! Thanks for sending me the Beta Test. Love this game and will go back and find the early one.” - Barb, beta tester Reflections of Life: In Screams and Sorrow Collector's Edition Walkthrough.